Have you tried the COVERGIRL & Olay Tone Rehab 2-in-1 Foundation or the Pressed Powder from CoverGirl and Oil of Olay? I was recently offered the opportunity to sample and review both the COVERGIRL & Olay Tone Rehab 2-in-1 Foundation and the Pressed Powder. I am a long-time department store cosmetic lover—but, something about the foundation and hydrating serum combo made me take a second look. I think, deep down, I knew that my skin was probably due for some rehab! 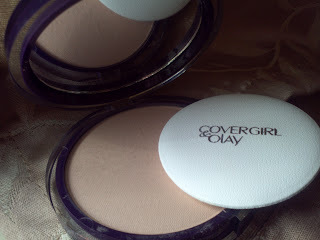 How did COVERGIRL &a Olay Tone Rehab 2-in-1 Foundation and the Pressed Powder stand up to my review? Summary of the appearance, scent and ease of use of COVERGIRL & Olay Tone Rehab 2-in-1 Foundation and the Pressed Powder. The pump style dispenser is reminiscent of my favorite department store brands. The texture of foundation is always an issue for me—I despise liquid, runny, colored “oil” and I struggle to blend in thick, paste-like foundations. When I first pumped the foundation onto the back of my hand, I was concerned that it was going to be difficult to blend onto my skin. It was very thick and creamy. I was pleasantly surprised. It was so quick and easy to apply. It blended smoothly without foundation lines and covered well. The powder application was also a quick and easy finisher. I have read complaints that the scent of the foundation is overpowering. I did not notice that—and I’m fairly “scent-sensitive”. It is not unscented—but, I found the scent lighter and fresher—not bothersome. Coverage and effectiveness of COVERGIRL & Olay Tone Rehab 2-in-1 Foundation and the Pressed Powder. As I mentioned, the foundation was quick and easy to apply. It did not settle into my pores or my dry patches—and covered my find lines without intensifying some of my not-so-fine lines! I was also surprised by how little of the foundation I was able to use for a suitable, light coverage. The COVERGIRL & Olay Tone Rehab 2-in-1 Foundation and the Pressed Powder products also stay put! With other hydrating/foundation combinations, I have felt like the product was literally sitting “on” my skin—rubbing off and flaking off throughout the day. I really felt that my skin absorbed this foundation. I have used the product for only a few weeks. The weather in Ohio just turned cold and the air inside our house is extremely dry. I cannot say that I’ve noticed a dramatic skin tone improvement—but, the serum does seem to be offering some dryness relief that is very common for me through the cold weather months. Would I recommend COVERGIRL & Olay Tone Rehab 2-in-1 Foundation and the Pressed Powder? 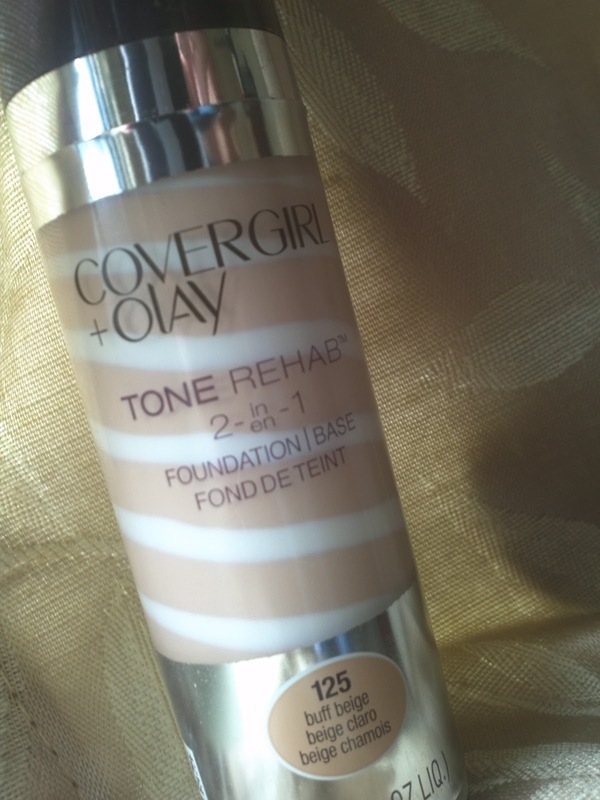 For a drugstore foundation/hydrating serum, I think COVERGIRL & Olay Tone Rehab 2-in-1 Foundation is my favorite. Can you find a better combination—sure—but, at the $13.99 price point—I think you will have a tough time finding a comparable product. My daughter, who is nearly 18, is beginning to add more moisturizers and skin conditioning products to her skin care routine—and this is a perfect fit for her budget. What’s missing from the product? An SPF. I am a sunscreen stickler—and I love using foundations with built in SPF protection. They save me time, money, and offer easier application. In spite of the SPF absence, I would recommend this product line. Skin products are tricky—those that work well for me may yield drastically different results for you. I enjoyed trying the product—and thought it was well worth sharing with my readers. To learn more about this product, visit the COVERGIRL website. Disclosure: I received free, full-sized samples of the COVERGIRL & Olay Tone Rehab 2-in-1 Foundation and the Pressed Powder as a BzzAgent member for use in my review. I was not paid for my review—nor asked to offer a positive review. I was just asked to give my honest opinion. We may also receive a small commission on affiliate links posted throughout our site.